This is a great production cel and production background set-up featuring Charlie Brown from a Bill Melendez Studios animated Peanuts cartoon. The overall set-up measures 10.5" x 12.5" and the image area measures about 9" x 12". 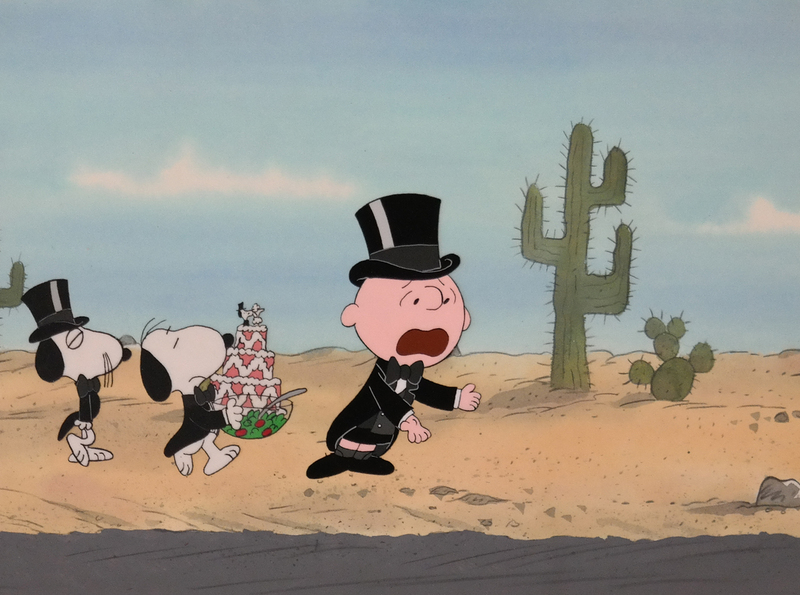 The cel is also hand-signed by Peanuts creator, Charles Schultz.